NURSERY: We have child care available for 0-2. We welcome your baby and offer excellence in care. PRESCHOOL: An exciting, creative and relevant Kids Bible program for children ages 3 years through Kindergarden. Offered simultaneously with the adult services on Sunday. 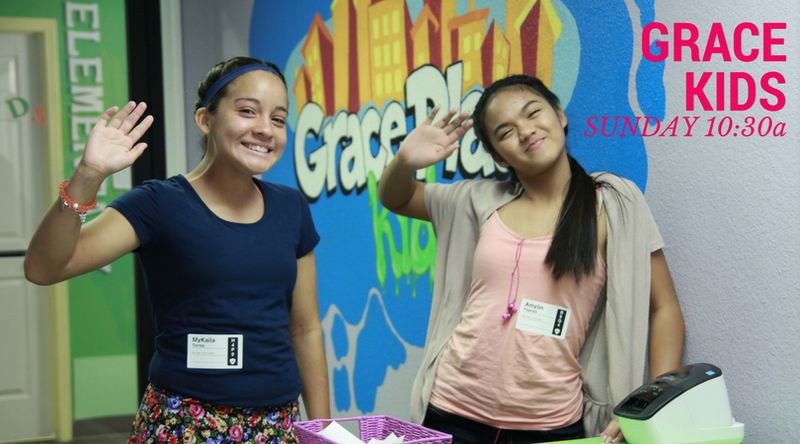 GRACE KIDS: A high energy, relevant super church program for 1st through 5th grade. Offered simultaneously with the adult services on Sunday. Thank you for signing up to help with this year’s Kids Crusade at the Grace Place Church! We will follow-up with an email shortly with dates and times that we are needing your help.